If you’ve ever wanted to know what Abbott and Costello would do if they were stuck in a cyberpunk nightmare, this story is for you. Budd & Luu are a lovable comedic duo who get into all sorts of random and crazy adventures. When some mysterious force starts to erase their world the pair escape through a strange portal, which lands them in a high-tech asylum located in an alternate dimension. Soon, they are subjected to painful experiments, and they discover the truth about their existence, as well as the real purpose of the asylum. 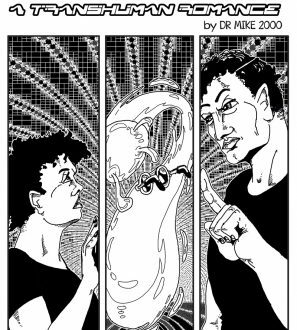 Split into 2 40 page issues, Part I was launched at the Big Arse 3 Comic Launch on the 2nd of March, 2013, and Part II was released in August 2013.